In the last years, CITA Conferences have become a meeting point for experts in vehicle inspection. The 2nd CITA Regional Conference in Central and South America was an unique opportunity to meet the most outstanding professionals and to retrieve state-of-the-art information. Located in the middle of Chile, Santiago is not only the capital; but also the most inhabited city in the country. You can find that it is also the business and administrative center, transforming it into a place of good business opportunities, scenario which presents a city with a good quality lifestyle as well as a quiet – clean place to be. Sheraton Santiago Hotel and Convention Center, is located near legendary sites such as the home of Pablo Neruda, the Metropolitan Zoo Park, San Cristóbal Hill and the best shopping are in the neighbourhood, as well as restaurants and bars. The hotel is only 12 minutes away from the airport (SCL) and is at driving distance from the city of Viña del Mar, word-class ski resorts, lakes and mountains too. 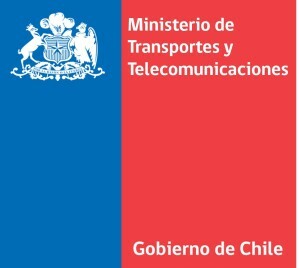 The Ministry of Transportation and Telecommunications was created by the Decree Law Nº 557, published in the Official Journal on the 10th July 1974. Their main function is to propose national policies in the areas of transportation and telecommunications, according to the Government guidelines and to direct and control its implementation; supervise public and private companies that operate different types of transportation and telecommunications in the country, and coordinate and promote the development of these activities as well to monitor compliance with the laws, regulations and standards. TÜV Rheinland is a leading German company in Testing, Inspection, Certification and Training with more than 140 years of experience. TÜV has been present in Chile since the year 1993 and has the support form an international group of specialist from more than 65 countries. More than 20 speakers coming from policy makers, authorities, operators and inspection equipment manufacturers will deliver valuable information about the reference vehicle inspection schemes in Central and South America. Do not hesitate to contact the CITA Secretariat for any additional question.